1) Construction companies are service companies. Generally they bill out per job or per man hour. For example, if a general contractor has four people on a job getting paid $10 an hour, they generally bill the client $15 or $20 an hour, per man. The more people they have working, the more money they make. In another model, a contractor estimates the cost of a project and then marks it up to the client. For example, if a project for a contractor would cost $10,000 to finish, he would send the customer an invoice for $20,000 and make a $10,000 profit once the job is complete. A business plan should showcase one of these models or a hybrid of both of these business models in the financial projections. 2) Depending on the focus of a general contractor or construction company, work may be seasonal. This means that the construction company may gather all of its revenue 8 months out of the year. For example in the northern states, where the winters are harsh, many construction companies make most of their revenue in the summer months. This seasonality should be shown in the financial projections. 3) Focus on the core strengths of the construction company when business planning. Many construction companies have a specific strength. It may be that the construction company is proficient at masonry work or they are extremely good at woodworking or they have the machinery to pave roads. Generally when a construction company has specific machinery for specific jobs, those jobs are more profitable for the construction company. When developing a business plan for a construction company, highlight these areas and show how the company will exploit this core competency. 4) Understand the construction company's core target geography. Make sure to target customers within the geography of the construction company. The business plan should outline a marketing plan to attract potential clients within the reach of the construction company. Make sure to understand whom will be reading the business plan. The audience of the business plan is important. See more about understanding the audience of a business plan here. A different tone should be taken if the business plan is being written for internal purposes or external purposes. 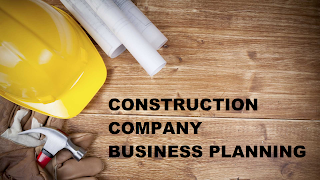 If you need a construction company business plan developed, I can help. Text or call my cell at 203-685-0346 or email me at CervitudeNetwork@gmail.com. Please leave a voicemail, as I am normally working with other clients. I get back to my voicemails once daily, and my texts messages & emails immediately.